Whether you’re a beef cattle or tobacco producer, you can learn useful strategies to make your operation more productive at the University of Tennessee Institute of Agriculture’s Tobacco, Beef & More Field Day. The event takes place onThursday, June 25, at the Highland Rim AgResearch and Education Center in Springfield. Admission is free. More program details can be found at the Highland Rim AgResearch Center’s Facebook page or website:highlandrim.tennessee.edu. For additional information, or to request an accommodation for accessibility, please contact the center’s office at 615-382-3130. Facebook users have the chance to win $200 worth of local meats from a nearby farm. A contest is being conducted by Pick Tennessee Products, the Tennessee Department of Agriculture’s program that connects farmers directly to consumers. A total of 12 winners will be randomly chosen at noon on June 15 and notified by Pick Tennessee Products. Several Tennessee associations including the Tennessee Beef Industry Council, the Tennessee Pork Producers and the Tennessee Sheep Producers Association have partnered with Pick Tennessee to promote state meat producers and help fund the contest. TDA marketing specialist Wendy Sneed says it’s part of an effort to get the word out to consumers that purchasing meats directly from nearby farms is easy to do. “Visit the Pick TN Products Facebook page,” Sneed said. “Click on the ‘Fill Your Grill’ posting, which is linked to a directory of participating farmers.” Contestants must choose which farm they would visit to collect their meats, then submit that choice with their own contact information. To enter, search for “Pick TN Products” on Facebook. You will also find a link to the contest page onwww.picktnproducts.org. There is no cash prize. Entrants win the opportunity to go to a farm or local meats business and choose up to $200 of Tennessee meats. All funds will go directly to the farmer or business to reimburse them for their products. Follow Pick TN Products on Facebook, Twitter and on the Web. 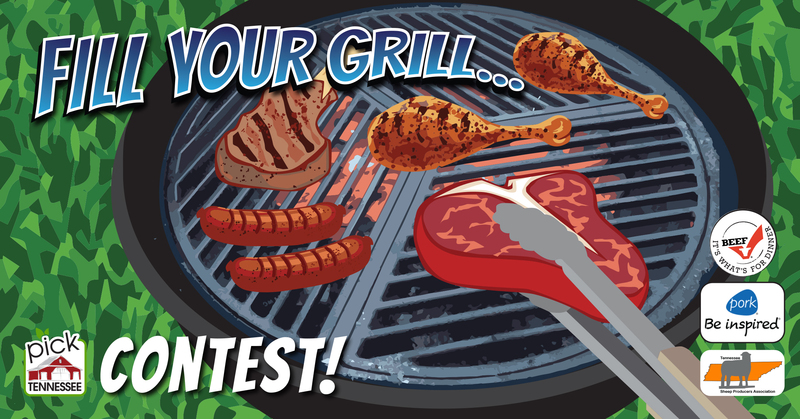 More information about the contest is available on the “Fill Your Grill” contest page. CattleFax will discuss these topics during its next Trends+ Cow-Calf Webinar at 5:30 p.m. MT, Jun. 10, 2015. To participate in the webinar and access program details, producers and industry leaders simply need to register online atwww.cattlefax.com/meetings.aspx. My name is Rachel Ralston and I am from the small town of Rockvale, Tennessee. 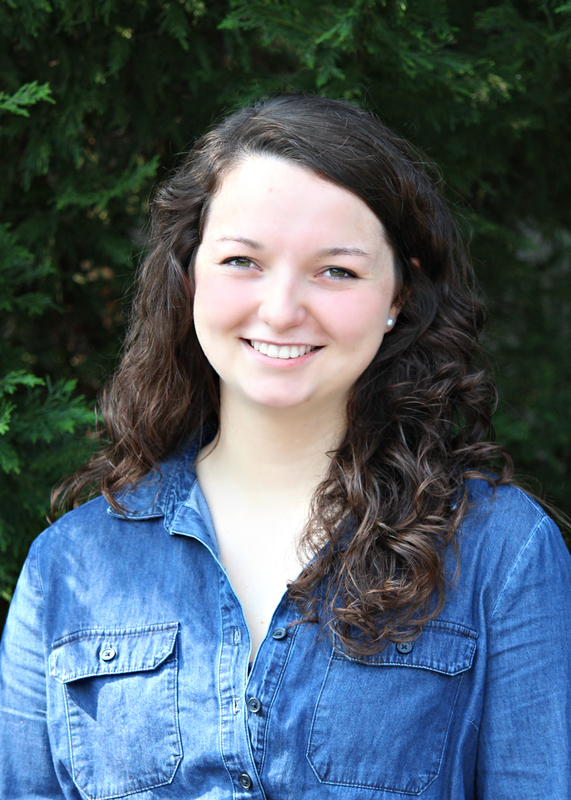 I am currently a senior at the University of Tennessee at Martin where I am majoring in Agriculture Education with anticipation of becoming a high school agriculture teacher. I have been very involved with FFA and 4-H since I was a freshman in high school and have had many opportunities to see how these two groups can impact the life of young students, including my own. I participated in many competitions in both, including horse and dairy judging, as well as several leadership positions for FFA. I hope that a career in Agriculture Education will help me give back to these organizations a portion of what they have given me. I applied for this internship at Tennessee Beef Industry Council because I have sincerely appreciated my background in cattle and I wanted to learn more! I originally grew up on a dairy farm, but have been raising beef cattle since we sold the herd in 2000. I have seen many different aspects of the production side of the industry through being raised on a cattle farm, and I jumped at the chance of learning more about the consumer side! I sought this internship opportunity because I knew it would be a way for me to learn more about beef, make connections in agriculture, as well as be an experience I could take back to the classroom when I become a teacher. The 2015, Be a Digi-Star Champion Contest runs May 1- May 30. Youth livestock exhibitors are eligible to enter by posting a picture of their 2015 livestock project to Digi-Star’s Facebook page, http://www.facebook.com/DigiStarLLC. The photo that receives the most votes will win their choice of an Alleyway or Wrangler Jr. Livestock scale, or a StockWeigh 300 indicator. 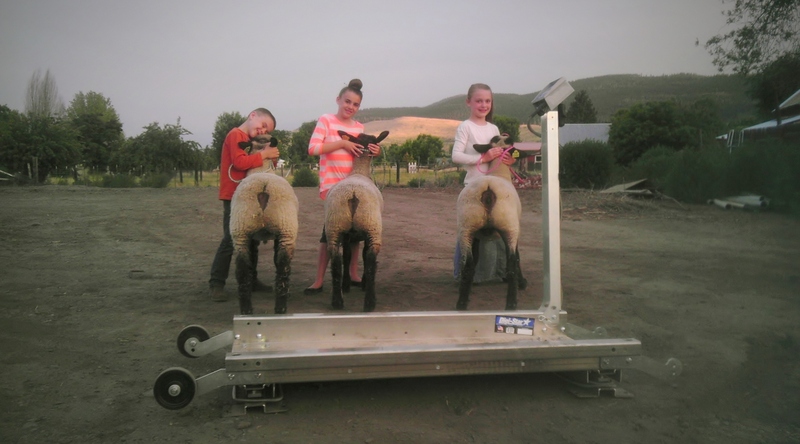 The 2014, winning photo of Drake and Alyssa Hoyt and their market lambs received more than 1,200 likes. They chose a Wrangler Jr. Livestock scale with a StockWeigh 300 indicator as their prize. “It is awesome! So far we’ve weighed six pigs, three sheep, three dogs and all the kids. It transports easily in the back of my pick up and it’s nice it only needs 2AA batteries to operate,” says Justin Hoyt, Drake and Alyssa’s dad. “Digi-Star has deep roots in agriculture and the Be a Digi-Star Champion Contest is just one of the ways we can share our passion with the next generation,” says Nicole Turner, Digi-Star animal products manager. Recognizing that access to a scale often limits this key measurement process, Digi-Star developed the Be a Digi-Star Champion Contest in 2013. The winner will be the exhibitor whose picture receives the most Facebook votes by 5:00p.m, May 30, 2015. After the contest ends, anyone that entered will receive a special discount code for Digi-Star’s online store. The contest is open to all youth under 21 exhibiting livestock during the 2015 show season. In an ongoing effort to support youth livestock education, Digi-Star also offers specific discounts to Vo-Ag instructors for livestock scale systems purchased online at Digi-Star.com. Instructors simply need to call 800-225-7695 and request the Vo-Ag coupon code. For more information call(920) 563-1400 or email: sales@digi-star.com. Digi-Star LLC (http://digi-star.com/), a Topcon Positioning Group company, is headquartered in Fort Atkinson, Wis., with additional facilities and businesses in the Netherlands and United Kingdom. Digi-Star LLC is a global supplier of electronic sensing equipment, precision sensors, displays and software used by farmers and other equipment operators to precisely measure and analyze valuable data from critical farming processes.